Biscuitville, a local North Carolina cult favorite, has begun a rejuvenation of their image and brand. 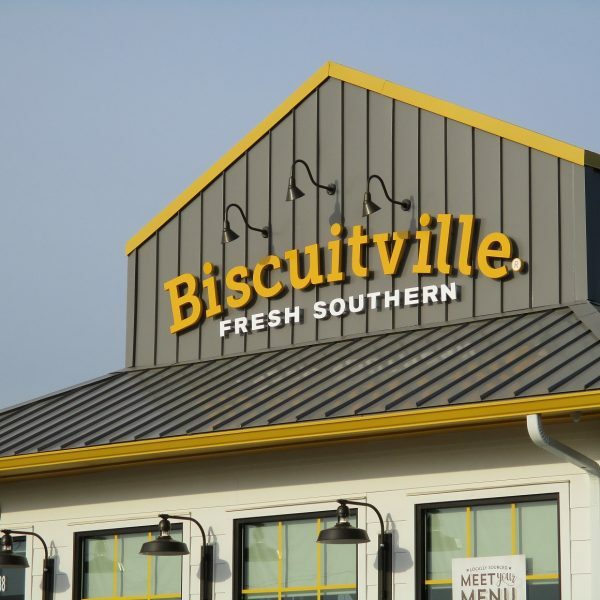 With the help of NRD, Biscuitville is in the process of re-branding all of their buildings to present a more cohesive and iconic look across all of their existing restaurants in North Carolina and southern Virginia. NRD is also involved in recreating their kitchen layouts with conjunction of their operations team for efficiency and flow. NRD looks forward to continuing to move forward with Biscuitville as they evolve as a company in the coming years.